All noteworthy announcements will posted here at the top of the page. Announcements will be archived into one of the four following news sections (below): Sport and Competition, District, Community and Provincial. Please note NBay lists have been updated and put up on the website. All the coaches and DTMs are on the District list. Special Olympics Ontario is proud to announce the athletes that have been named to the District Training Squads for the 2015 Special Olympics Ontario Provincial Winter Games. The Provincial Games will be held in North Bay from January 29-February 1, 2015 and will host over 425 athletes, coaches and mission staff from across the province. It is a qualifying event for the 2016 National Winter Games which will be held in Corner Brook, Newfoundland. For more information about the 2015 Special Olympics Ontario Provincial Winter Games, please click here. Toronto, Ontario - Special Olympics Ontario is proud to announce the Team Ontario Management Team for the 2014 Special Olympics Canada National Summer Games, Vancouver, British Columbia. The Management Team, made up of 16 volunteers and 3 staff have proven technical skills and many years of experience from Provincial to World Games. Team Ontario consists of a total of 353 Athletes, 83 Coaches and 19 Team Management for a total of 455 team members. Juli has been with Special Olympics Ontario since 1995, as the Volunteer Coordinator for Barrie Community and then 1998 as the Club Development Coordinator. In 2000, she relocated to Saskatchewan where she became the Program Coordinator for Special Olympics Saskatchewan. Upon her return to Ontario in 2004, Juli was re-hired by Special Olympics Ontario as the Area Coordinator for Central Ontario. Since then, Juli has organized several Provincial Conferences, Provincial Games and was the Chef de Mission for the 2008 National Winter Games and the 2010 National Summer Games. Karen acted as the Games Manager for the 2013 Provincial Summer Games in York Region and is currently the Special Event Planner for York Regional Police. Prior to joining York Regional Police, Karen has held positions as the Manager of Volunteer Services at Special Olympics Ontario and Coordinator of Volunteer Services at York Central Hospital. Karen is very active in her community as she volunteers with Special Olympics Ontario and serves as a Board Member for Community Living, Newmarket/Aurora District and Holiday Helpers. Jarrod is currently the District Developer for the Northern District and has been with Special Olympics Ontario since September, 2011. In the past two years, Jarrod has been involved with the Provincial Games in 2012 and 2013. Jarrod has an extensive sport background which includes a Tournament Coordinator position with the Ottawa Senators, as well as being a hockey and lacrosse enthusiast. Having played, coached and officiated in both these sports Jarrod had the opportunity to experience sport at all levels, giving him an exceptionally well rounded perspective of sport. Jarrod is currently coaching a youth volleyball team in Sudbury as well as coaching the Sudbury Minor AAA Wolves. Team Ontario Coaches will be announced in mid-November. Congratulations to all members of Team Ontario Management Team. Special Olympics Ontario looks forward to a most successful Games in Vancouver, British Columbia July 8th – 13th, 2014. Harold Smith Conference: Host has not been secured. Hal Rockburn Conference: Host has not been secured. Do you want your child to be more physically active? Would you like to see them make new friends? Could they benefit from learning new athletic skills? Then Special Olympics’ Active Start and Fundamentals youth programs are for you! For athletes 2-6 years old, with intellectual disabilities. Focuses on developing basic and fundamental gross motor and athletic skills needed for future participation in sport! For athletes 7-12 years old, with intellectual disabilities. Focuses on practicing a varied selection of sports-specific skills required for successful participation in sports in the future! Programs run for 12 weeks. We are in the process of setting up a Special Olympic Active Start program here in Oakville. We hope to run a FUNdamentals program as well in the future. Thank you for agreeing to participate in the Special Olympics Ontario Satisfaction Survey. Your views are important to us, and will help us to improve in how we can continue to develop the tools and resources for the future of Special Olympics Ontario. This survey is confidential, and your anonymity is guaranteed. We would ask you to be as honest as possible to ensure we get maximum benefit from the survey. 2. Tell us a little more about who you are. Indicate at least 4 choices that are relevant to you. 3. What Special Olympics Ontario District are you from? 4. What is the population of your community? 5. How long have you been involved with Special Olympics Ontario? 6. How did you become aware of Special Olympics? 7. If you answered Professional Association to the above question; please state your Association. If you answered Professional Association to the above question; please state your Association. (in addition to being a busy volunteer with SOO)? 9. Drawing from your professional work skills and expertise, could you assist SOO in other ways? Did you recieve an introductory volunteer orientation upon joining Special Olympics Ontario (SOO)? Did you review and sign off on the Volunteer/Coach Code of Conduct Agreement with SOO? Do you access the SOO Information Portal (volunteer resources website)? Have you taken any of the SOO on-line volunteer training sessions? Have you taken the required AODA training available through SOO or through another organization? 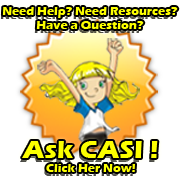 Do you know about CASI (our Q&A website assisted tool) and know how to access CASI? Do you use the video/Youtube resources available through the information portal? Have you utilized sport club, competition and or community council resource materials in the past year? 12. How many hours did you volunteer last year for Special Olympics Ontario? How many hours did you volunteer last year for Special Olympics Ontario? 13. How many hours did you volunteer last year for other organizations? How many hours did you volunteer last year for other organizations? 14. For how many organizations do you currently volunteer including SOO? For how many organizations do you currently volunteer including SOO? 15. Can you list the other organizations that you volunteer for? Can you list the other organizations that you volunteer for? SOO (across the board) make good use of financial resources. 21. If there was one thing you would recommend to Special Olympics Ontario. What would that be? If there was one thing you would recommend to Special Olympics Ontario. What would that be? 22. Thank you for participating in the survey, your community will be entered into the lucky draw for a one day training/planning workshop. The wining community will be informed by end of October. Please indicate the name of your community. Thank you for participating in the survey, your community will be entered into the lucky draw for a one day training/planning workshop. The wining community will be informed by end of October. Please indicate the name of your community. 23. THE LUCKY DRAW: In the event that your community won the Volunteer Training Workshop Day; what kind of training do you think your community would be interested in. It’s time to select 2013 Special Olympics Ontario Provincial awards winner athletes and volunteers in various categories, so please nominate a candidate who you feel is well deserving. To nominate athletes and volunteers please visit our Provincial Awards Website and submit your nomination on the online forms provided. Please note deadline date is Sunday, May 05, 2013. Please pass this information in your community. We wish to compile a list of candidates from all over the province.